Afrin (AsiaNews) – Turkish air raids have damaged an ancient Christian heritage site in northeastern Syria near the city of Afrin, a Kurdish enclave in northern Syria, which Ankara-led forces captured on 17 March, Syria’s antiquities department said Thursday. 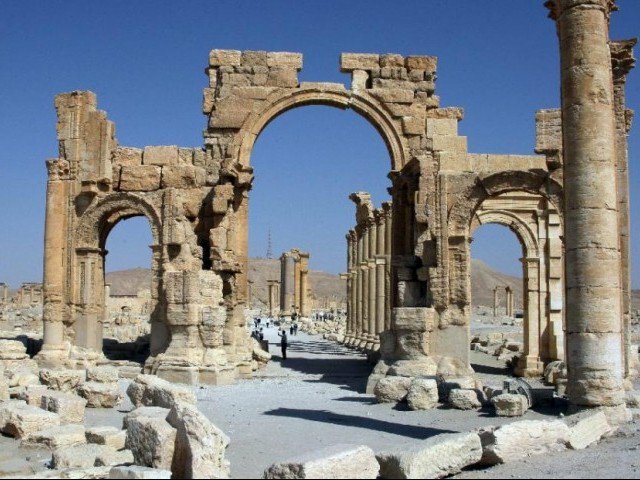 “Turkish regime planes bombed the archaeological site of Brad, 15 kilometres south of Afrin city,” the Directorate-General of Antiquities and Museums said in a statement. Brad – which includes many Byzantine churches and monasteries as well as tombs dating back to the Roman period – has been on Unesco’s world heritage list since 2011. Rockets “destroyed many important archaeological buildings”, including the tomb of Saint Maron of the Maronite community, said Syrian antiquities chief Mahmoud Hamoud. Turkish planes also destroyed “the Julianus Church, which includes the mausoleum and is one of the oldest Christian churches in the world, built at the end of the 4th century,” he added. On 20 January, Ankara launched a major offensive against the mostly Kurdish People's Protection Units (YPG), which it says is allied with the "terrorist" Kurdish Workers Party (PKK). The latter has been fighting for the independence of Turkish-occupied Kurdistan. As President Recep Tayyip Erdogan announced, after conquering Afrin, Turkey is now turning its attention towards other Kurdish towns in the area in order to control the border region in the eastern part of Syria. Turkish troops and anti-Assad jihadi groups have not damaged only Christian sites. In late January, Syria accused Turkey of damaging the 3,000-year-old iron age neo-Hittite temple of Ain Dara as it pressed its bombardment of the Afrin region. For its part, the Turkish military denied the charges, saying that “religious and cultural buildings, historical sites, archaeological ruins and public facilities are absolutely not among the targets” of its offensive. 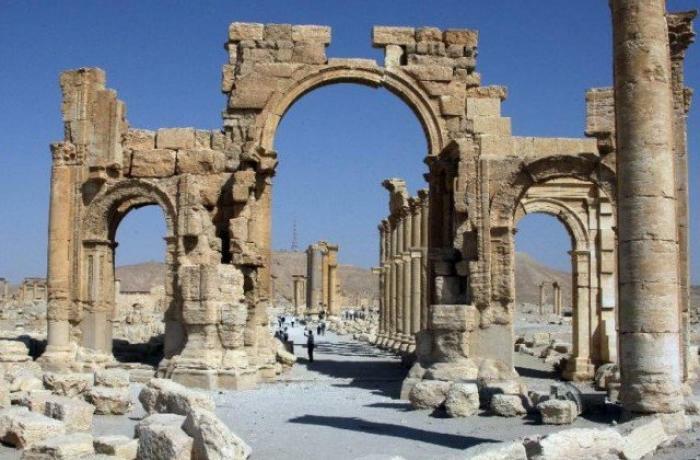 Still, damages from its planes to Syria’s and the world’s cultural heritage are there to see. In addition to the tomb of Saint Maron, which was discovered in 2002 by a group of French archaeologists, the ancient city of Brad also has several Christian sites from the Roman and Byzantine periods. “This site is one of the most beautiful pages of the history of Christianity. It is home to three churches, a monastery and a five-metre-high tower,” Syria’s former antiquities chief Maamoun Abdulkarim said. "Not even the Mongol invasion did this," he added. In recent weeks, experts have voiced concerns over some 40 Christian villages in the Afrin region, which Unesco describes as "ancient villages of northern Syria" and has included in its World Heritage Sites. The UN’s Educational, Scientific and Cultural Organisation says these villages provide, among other things, “an exceptional illustration of the development of Christianity in the East, in village communities”, and must be protected and preserved. Meanwhile, the BBC has reported that one of the last rebel groups in the besieged enclave of Eastern Ghouta, outside Damascus, has announced a ceasefire. The Faylaq al-Rahman group has accepted a UN-brokered truce, saying that the move would allow talks with the Russian military, Syria's ally, on guarantees for the safety of civilians. Syrian troops currently hold 80 per cent of the enclave.